There are two types of travelers; the ones who arrive in the nick of time and catch their flight 5 seconds before it departs, and those who are worried they might miss their plane so they arrive at the airport four hours early… for a domestic flight. Most of the time flights leave on time, however in the snowy capital of Hokkaido sometimes those same elements that bring us the bottomless fresh powder we all love also conspire to cause delays or even shutdowns at the airport due to snowstorms. For those times when you find yourself with time to spare at Hokkaido’s largest airport we have compiled a cheat(ose) sheet: Things To Do At New Chitose Airport. A lot of souvenir shops are located in the domestic terminal area. There are ‘omiyage’ (little local delicacies ranging from sweet rice cakes, cheese tarts, and rice crackers to frozen whole crabs, corn chocolate and melons), as well as stores where you can buy little gifts and souvenirs for your loved ones and friends back home. Most of the ‘omiyage’ stores offer free samplers so you can give treats a taste test before purchasing. One of this airport’s best kept secrets is their onsen. Open for 23 hours a day, soaking in one of these heated baths is a great way to relax and unwind or even spend the night. They have an indoor and outdoor bath and a relaxation area with massage chairs if you would like to just nap and forget about your worries (eg your delayed flight because of a snow storm). 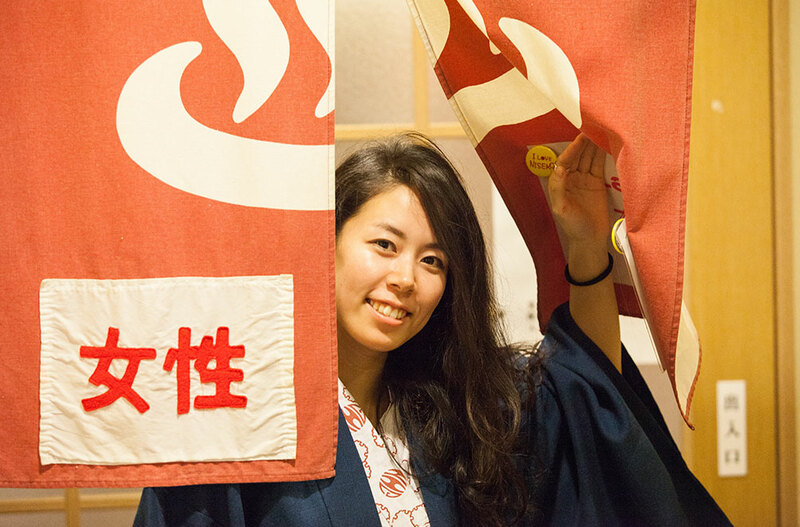 Hours of operation: 10:00am – 9:00am (open 23 hours a day), prices start from 1500 yen for adults and 800 yen for kids, with overnight stays available from 3000 yen and 1600 yen. Hokkadio Ramen Dojyo is an alleyway on the 3rd level of the Domestic Terminal which hosts 10 of the best ramen restaurants from all around Hokkaido, each with their own unique style. 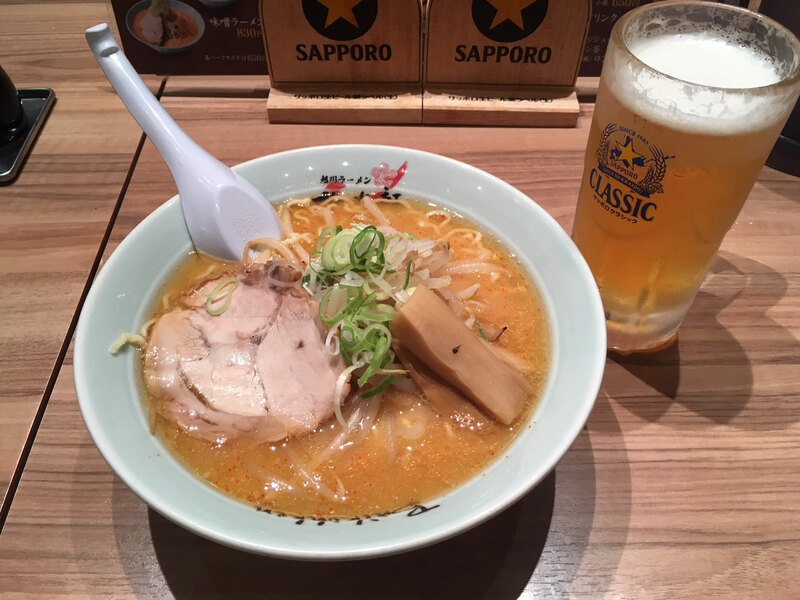 The wait time may be long especially during lunch time so make sure to line up early or go just after the lunch hour rush to enjoy the variety of ramen that Japan has on offer! If you are stuck at the airport and have time to kill then catching up on the latest film release is a great way to consume a spare hour or two. 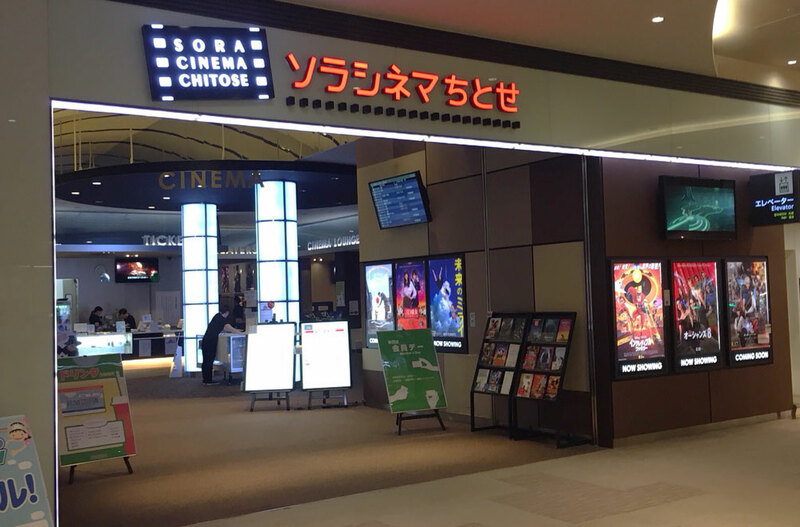 New Chitose comes well equipped with entertainment in the form of its very own “Sora Cinema”. Think of it as being more productive; once you reach your destination you’ll have more time to enjoy the powder snow, and you don’t have to worry about spoilers on Facebook! 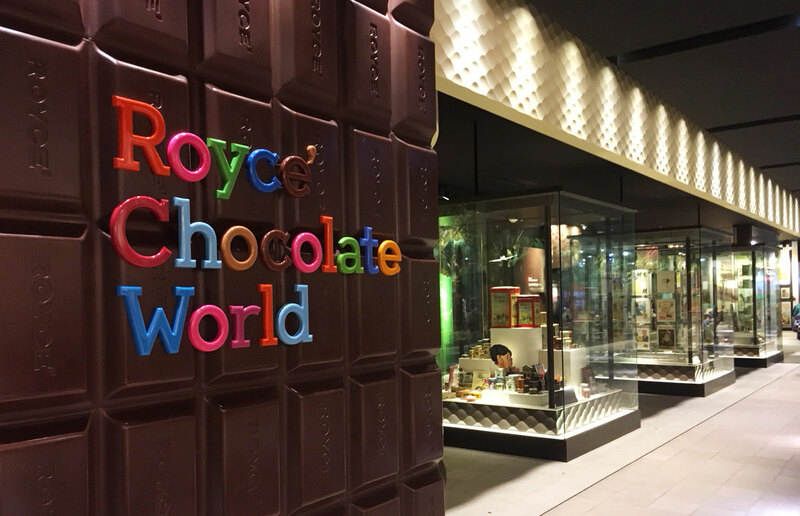 Located on the 3rd level, between the Domestic and International terminal you will find Royce Chocolate World. 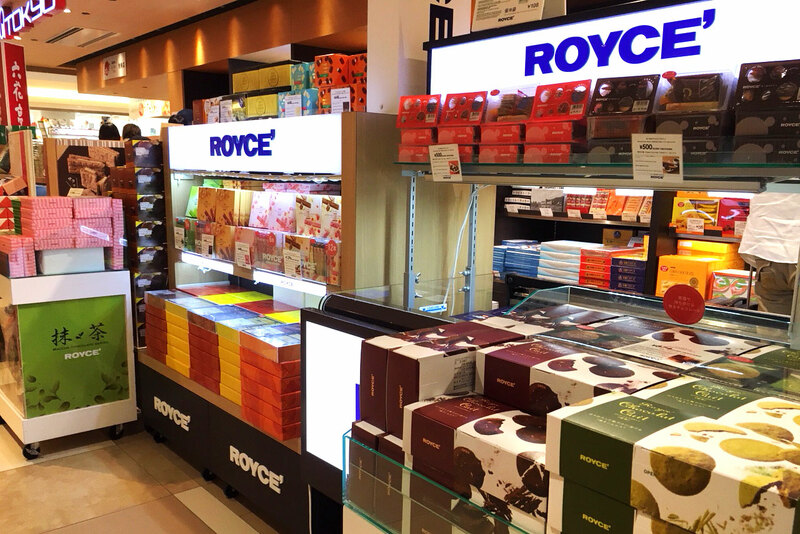 Royce Chocolate is Sapporo’s home-grown chocolate and is loved by locals as well as gaining popularity internationally. Their chocolate factory inside the airport displays a history of chocolate as well as the story behind the Royce Chocolate company. Opposite the historic displays you can find chocolate being created fresh behind floor to ceiling windows by a fascinating fully autonomous robotic factory line. Purchase the freshly made chocolate next door at the store alongside other special seasonal themed items. Make sure to try their chocolate covered potato chips! Located on 4F of the Domestic Terminal building. 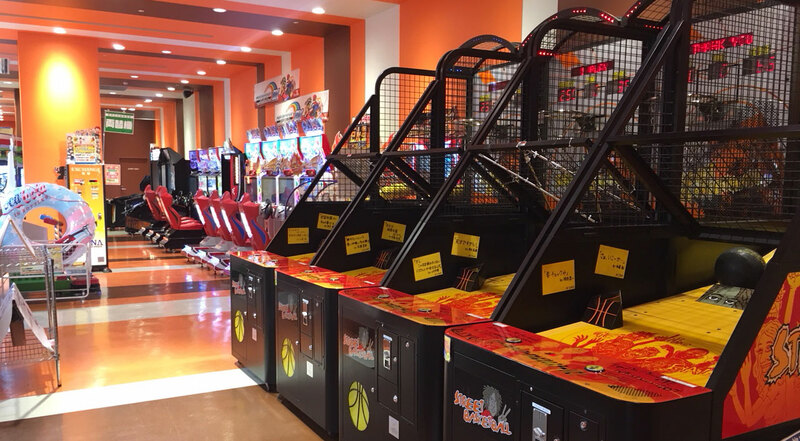 Alpina, New Chitose Airport’s gaming arcade is located just across from the onsen, they have numerous games for the kids and the kids-at-heart. From multiplayer sports games like basketball shooting, and air hockey, to race games like Mario Kart. You can definitely spend an hour or so at this colorful arcade! Don’t forget to ask our helpful SkiJapan.com Airport Service Desk staff for advice!